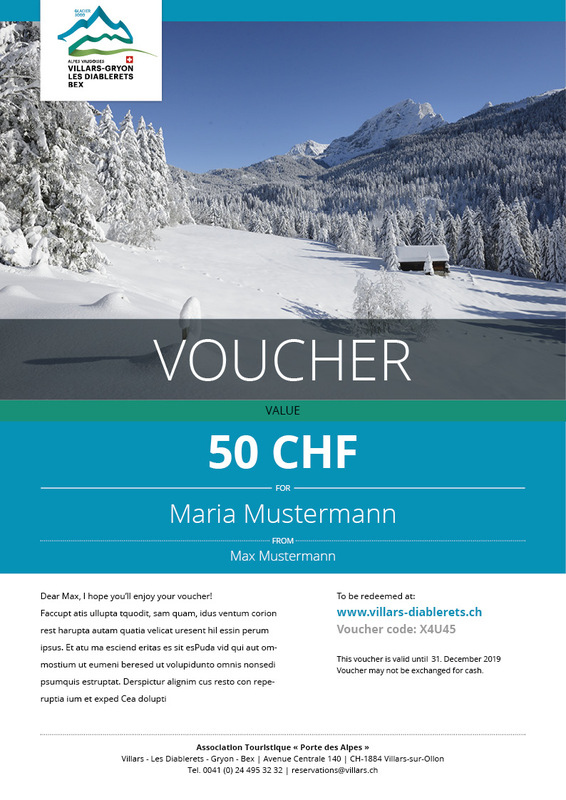 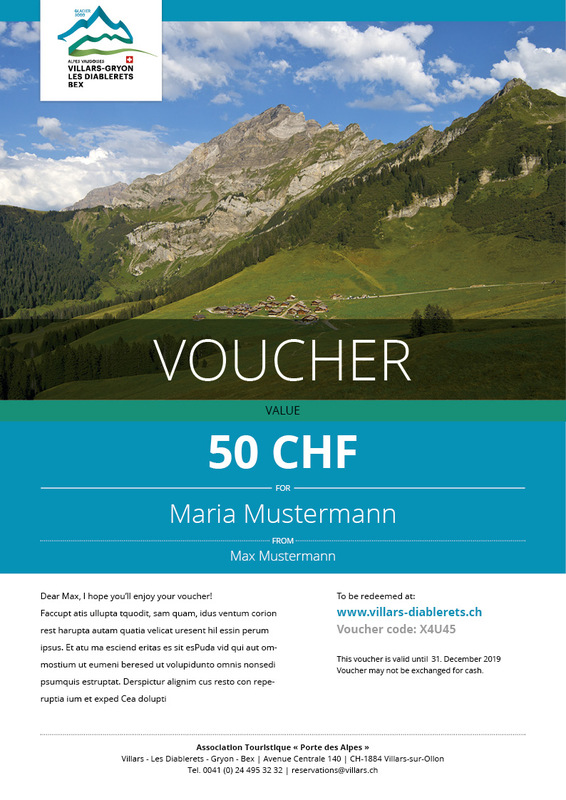 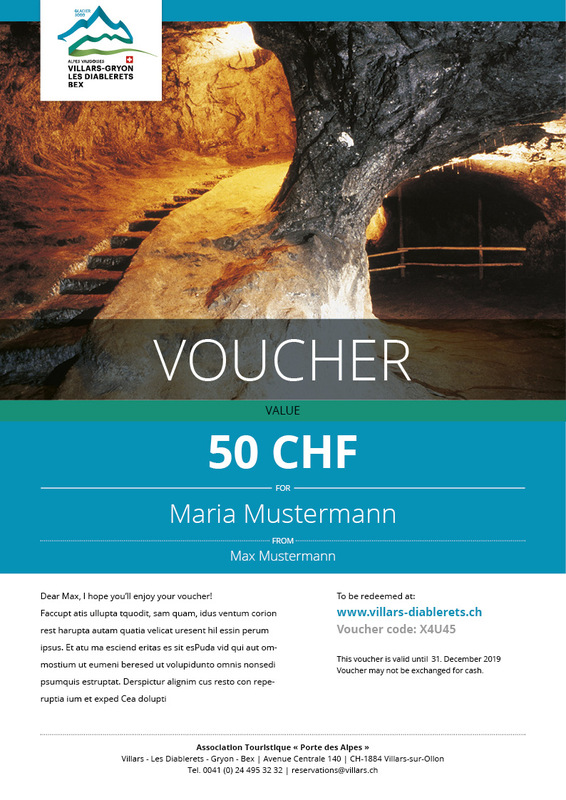 Give a piece of Villars-Gryon, Les Diablerets and Bex! 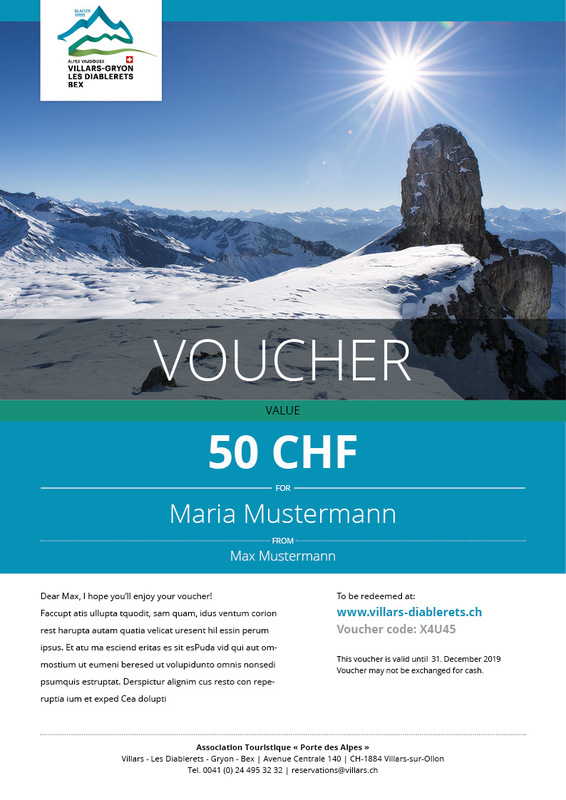 With the gift vouchers of our holiday region you give a small piece of vacation, emotional experiences and lasting memories. 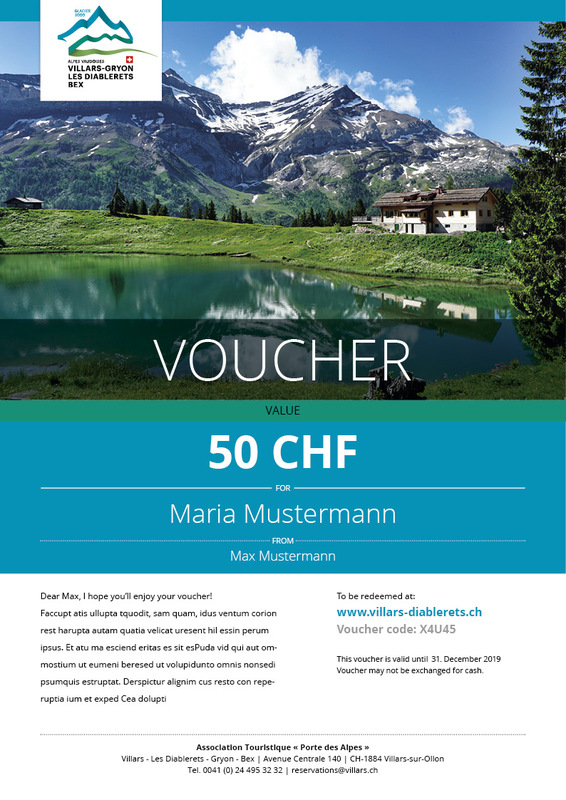 To be used in the online shop of www.villars-diablerets.ch/shop for package deals, activities, tickets.